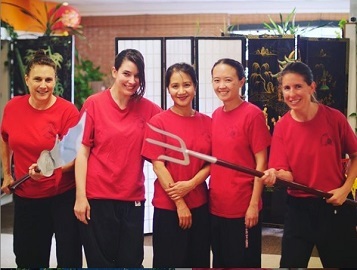 Newbies and advanced students train together in this fun, energetic class. Visitors are welcome to stop by any time. When you become a student, you can get in additional training outside of class times too. 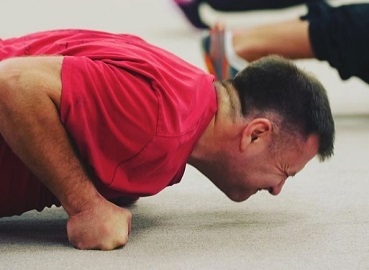 If you’ve never done a push up before or have participated in fitness training your entire life, you’ll find an intensity level that makes you feel right at home. 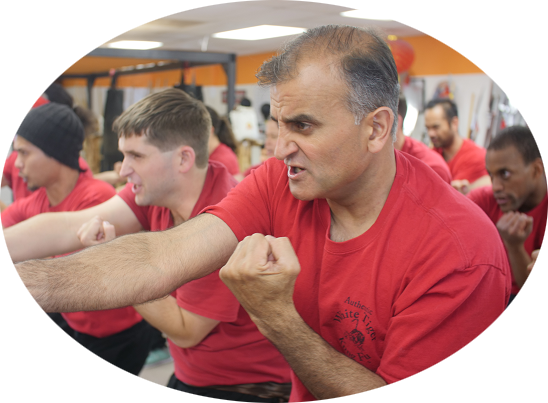 Our classes are “all levels classes” that feature self-defense, meditations, forms, cardio, strength training, flexibility, and other White Tiger Kung Fu exercises and traditions in each and every class. All of our instructors are black sashes or above, and we have a strict no-bullying policy at our School. This policy along with the talented instructors creates a fun, safe, and highly effective learning environment for everyone in the class. 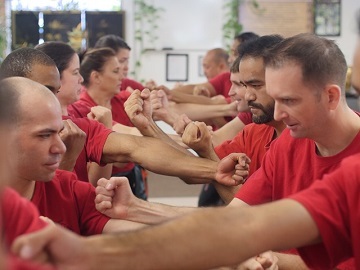 Whether you want to grow your confidence, learn how to defend yourself and your loved ones, or improve and grow as a person (physically, mentally, emotionally, and spiritually); White Tiger Kung Fu has exactly what you’re looking for in your journey in martial arts and your overall life. Right now our "All Levels" classes has students ranging from ages 10 to 65+. Although we are planning on re-starting our kids program soon, we do not have a kids program at this point in time. However, families are definitely welcome to train together. This means that as long as your children are comfortable training around adults, we are happy to train you and your children in the same class. Of course you can always call us or email us. However, there is nothing like visiting our school and feeling the positive atmosphere and supportive environment yourself. Thus, the best way to see if White Tiger is right for you is to book an in-person appointment with one of our friendly New Student Specialists. You can book your appointment online in the link below.